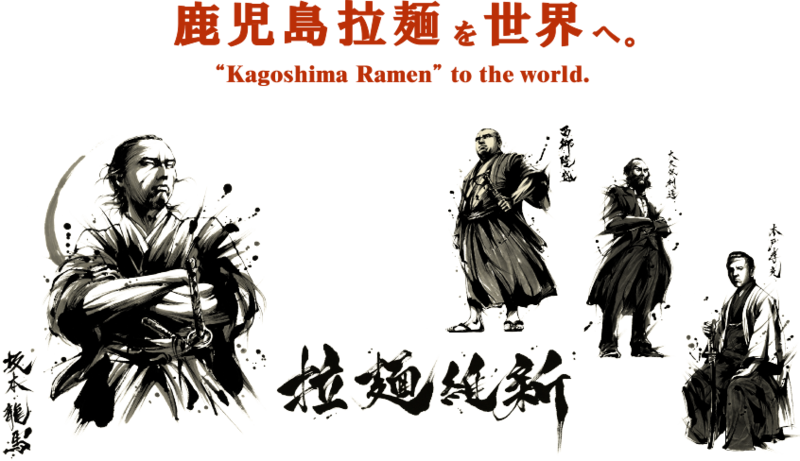 Dating back to the Meiji Restoration; Takamori Saigo, Takayoshi Kido and Toshimichi Okubo became known as "Sanji", meaning the "three great heroes" of the Meiji Restoration for their part in overthrowing the shogunate. Takamori Saigo, in particular, was the key person, who by sharing Kagoshima culture wanted to give a voice to Japanese culture to the outside world. Inspired by Saigo, Menya Sanji aims to spread the taste of Kagoshima ramen to the world. A Kagoshima style noodle house , established in 1972 in Kagoshima caught the attention of some noodle enthusiasts and they engaged the owners of this restaurant to share this recipe with them.They wanted to bring this particular taste of Kagoshima style noodles outside Kagoshima so with their support, they established the first Menya Sanji noodle house in Yokohama, August 2006. 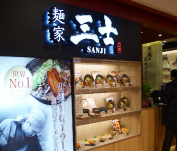 There happened to be some kindred spirits in Taipei who were also so inspired by the taste of the ramen and the history of Sanji that the first Menya Sanji outside of Japan was opened in Taipei in 2011. 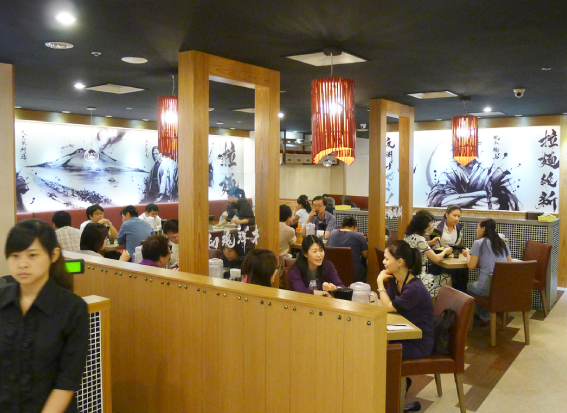 In 2012, four more noodle shops were opened including second and third ones in Taipei, a first one in Guam and a first one in Singapore. In the spirit of the three heroes, Menya Sanji ramen is starting to be loved by people all over the world.